Epoxy Oilserv Nigeria Limited announces preparedness to achieve product availability for Shell Lubricants to BMW and Hyundai vehicle owners in Nigeria, announcing this in Lagos, the company’s key accounts manager and customer relationship manager Mr. Emeka Okolie confirms the company’s ability to meeting customers demand in timely manner and at every point in time and location. “we are prepared to meet demand of any quantity and at any location within Nigeria”. The renewed effort by Epoxy Oilserv Nigeria Limited to make this information public is as a result of the partnership between BMW and Shell lubricants, they announced their collaboration in November 2014. Shell Lubricants, announced its collaboration with BMW as the recommended supplier for service fills in more than 140 countries including India, starting January 2015. Shell Lubricants will be the recommended manufacturer and supplier for aftermarket engine oils for BMW brands including BMW, BMW i, BMW M, MINI and BMW Motorrad. The premium engine oils manufactured by Shell Lubricants will be available to customers at BMW Group’s network of more than 3,500 dealers, in more than 140 countries, including India, China, Germany, Russia, South Africa, South Korea, the UK and the USA. It is expected that users of BMW in Nigeria will also require Shell Lubricants for their premium high quality vehicles, in another development Shell partnered Hyundai motors, Hyundai Recommends Shell Lubricants for their vehicles globally for another 5 years. Epoxy Oilserv Nigerian Limited is expected to supply the Shell brand of Lubricants also to Hyundai product owners or servicing shops willing to take advantage of product availability in Nigeria. 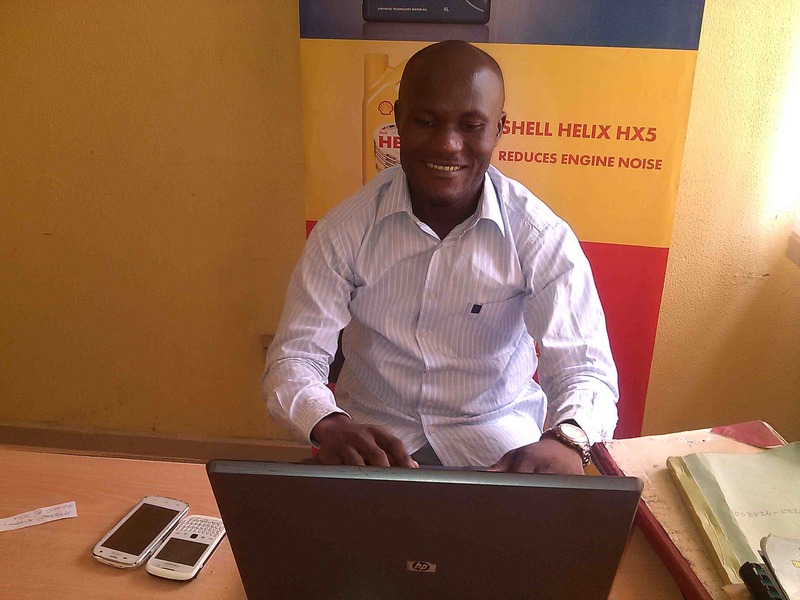 “these are interesting times for Shell Lubricants and Epoxy Oilserv Limited as we are excited to have these products in Nigeria and we are willing to sell at highly discounted prices to our customers, we will especially bring value to BMW and Hyundai Vehicle owners in Nigeria, we believe in customer retention and we will do anything to keep them excited” Emeka Okolie reiterated. This remarks was made as Epoxy Oilserv Limited got new product supplies for 2015 and Emeka was briefing Lube-point correspondence Mr. Lawrence Momah February 2015.